We met Governor Ariyoshi for the first time in 2018 at the Hawaii State Capitol, where he is still involved with student leaders and the “Hawaii: The Next 50 Years” contest. He ate lunch surrounded by students, graciously dedicated his book to each of the youth, and posed for pictures with them. 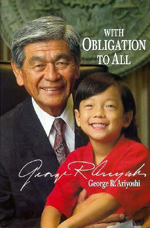 Ariyoshi was born in 1926, the first of six children with an entrepreneurial father and an optimistic mother. His parents’ idea of opportunity was “the opportunity to work hard, be free to improve their lot in life, and raise a family.” He overcame a childhood speech defect (a lisp), remembers an influential teacher Margaret Hamada, and admires an influential principal Dr. Miles Cary at McKinley High School. He was drafted into the Military Intelligence Service language school at Fort Snelling, stationed in Tokyo, and attended Michigan State in East Lansing. “I am a social liberal and fiscal conservative,” he declares. In 1954, at age 28, his childhood friend Tom Ebesu and Democratic Party chairman Jack Burns encouraged him to enter politics, running on a platform of opportunity and equality. He encountered partisanship and factions, but stuck to his principles of opportunity and supporting people on their merits. He was mentored by Governor John A. Burns, who gave him the opportunity to lead and helped him stand on his own; and his father Ryozo Ariyoshi. 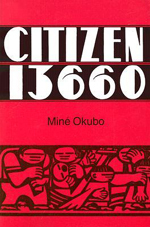 In the 1970s he was faced with the challenge of using resources wisely, faced with immigration and an overburdened welfare system. Many companies are doing business backwards, challenges leadership and organization consultant Simon Sinek. They’re telling us WHAT they do – what the product does, what services are available, what’s new – but what’s really important is WHY they are doing what they do. And many leaders are leading companies backwards, too – stressing WHAT companies do best, instead of WHY employees should work there. “Start With Why: How Great Leaders Inspire Everyone to Take Action” (2009) reveals how we can be great leaders both personally and as businesses. The central idea is that great leaders and great companies are able to inspire people who want to take action – whether it’s buying a product or working for a company. Great leaders give people a sense of purpose or belonging, understanding the value in the things we cannot see. Articulating WHY. “People don’t buy WHAT you do, they buy WHY you do it.” If we start with WHY, we will understand how to do business and what to do. Sinek discusses how businesses manipulate our buying behavior, but these tactics are only effective for individual transactions; they do not create brand loyalty. “Repeat business is when people do business with you multiple times. Loyalty is when people are willing to turn down a better product or a better price to continue doing business with you,” Sinek clarifies. And to create brand loyalty, you need to communicate why you’re in business. Sinek offers some examples of WHY. Apple empowers the individual spirit. Disney promotes good, clean family fun. Martin Luther King Jr. believed in equality and how we treat people. Staying true to WHY. “The single greatest challenge any organization will face is… success.” It’s easy to lose focus of WHY and start focusing on WHAT. We need to measure success in a way that is true to our WHY, not just products sold or contracts signed. For example, Christina Harbridge founded collection agency Bridgeport Financial based on treating people with compassion, and bonuses are given based not on collections, but on how many “thank you” cards agents send to clients. The importance of WHY we do things and finding our purpose resonates with me. I want to do work that is meaningful and work with people who believe in the same values. And I want to invite others to share in that purpose. What is your WHY at work? Does your company’s purpose inspire you to take action? What is your WHY in life? I only knew it as the Neil Blaisdell Center, with its arching ceiling, wide green lawn, and ponds filled with constantly-moving fish. But before it was a concert hall and arena, it was Old Plantation, or Ku‘u home (our beloved home). In 1881, Old Plantation was a family estate, a natural wilderness with coconut trees and a large loko ku‘i (inland fishpond) fed by icy artesian springs, stocked with ‘ama‘ama, āholehole, and mullet, and ‘auwai from the ocean. It was lined with a row of royal palm trees that welcomed guests and led the way home. Old Plantation is a strong presence her biography, “Victoria Ward and Her Family: Memories of Old Plantation” (2000), written by Frank Ward Hustace III. Old Plantation really comes to life as a member of the Ward family and a symbol of abundance and hospitality. 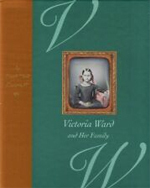 Victoria Ward (1846-1935) was the second daughter of James Robinson and Rebecca Kaikilani Previer. She was a private person, independent, and spirited. There are few anecdotes or stories about her in the book, and her personal papers were destroyed after her death, according to kanaka maoli custom. We know that she had a “unique marriage and business partnership” with her husband, Curtis Perry Ward, and we can see her strength, practicality, and business-savvy through her actions. A widow at age 36, Ward raised seven daughters, managed her own business affairs, and invested in the stock market. She was active in politics, a life-long supporter and friend of kings and queens, and signed the Hui Aloha Aina petition against annexation. She turned Old Plantation into a self-sufficient, income-producing operation. And she had the foresight to create the Victoria Ward Ltd in 1930, which now manages 66 acres of prime real estate. We don’t learn much about Ward’s siblings, such as her sister Mary Foster, who bequeathed her property to the City as Foster Botanical Gardens; or much about her children, among them Lucy Ward, who championed the Hawaiian Humane Society. The City of Honolulu purchased Old Plantation in 1958, and Victoria Ward is better known for her legacy of retail, commercial, and residential development. As I came to the end of the biography, I realized that Old Plantation is a reflection of Hawaii: once natural and bountiful, feeding the body and spirit; today, a place of music and theater named in honor of a Honolulu mayor who advocated construction projects. What stories do you have of Old Plantation and Neil Blaisdell Center? Where is your ku’u home? At one time, my son was really interested in social experiments. He didn’t run any experiments on me (I think), but he did make me watch some episodes of Daniel Pink’s “Crowd Control.” We watched Pink try to reduce speeding by creating a musical highway or give away prizes. Not long after that, Pink’s book “When” caught my curiosity at just the right time, when I was thinking about making a career change but was still unsure of what I wanted to do. 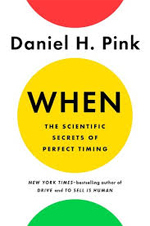 “When: The Scientific Secrets of Perfect Timing” (2018) by author Daniel H. Pink is a book about timing. Specifically, the science of timing, based on more than 700 studies. With an engaging tone and all of that research in bite-sized pieces “When” is thoroughly readable and gave me a lot to think about. The book is divided into increments of time (day, beginnings, midpoints, and endings), with a “Time Hacker’s Handbook” section at the end of each chapter that is filled with tools, exercises, and tips. One of the most useful tips he shares is to identify personally meaningful days to create a “fresh start effect” – whether it’s the start of the week or month, a birthday, an anniversary, or ordinary day that you make meaningful (Star Wars fans might consider May 4). The Day. Morning larks, night owls, and third birds. Our moods follow a common pattern: a peak, a trough, and a recovery. For night-owls, this pattern is reversed: recovery, trough, then peak. This pattern has a big impact on problem solving, creativity, and even morality. Pink suggests that we perform analytical tasks at optimal times, and perform creative tasks at low times. In between, we should take frequent, short, restorative breaks (moving around, talking with others, going outside, or taking a nap). Beginnings. Beginnings matter, and Pink points out two beginnings that we might want to re-think. For example, when you start your day has a big impact on the rest of your day. For teenagers, an early start could negatively impact learning. Pink recommends starting the school day later, after 8:30 am. And when you graduate and enter the job market – whether it’s a strong economy or a weak one – has a lifelong impact on your career and wealth. Midpoints. Happiness tends to climb high in early adulthood, slides down in the late 30s and early 40s, dips in the 50s, and begins climbing again in the 60s. In everyday life, Pink suggests that we use midpoints in a project, competition, or calendar to motivate us. We can set interim goals and then publicly commit to those interim goals. Ernest Hemingway would stop writing in mid-sentence to keep his productivity flowing. Endings. Endings shape our behavior by energizing us – we want to do something significant. We’re more likely to do something challenging or meaningful right before we reach an age milestone, such as age 30, 40, 50 or more. In a few years, I’ll reach one of those decade milestones (I won’t say which one), and I’ll let you know if I come up with something significant – or wild. There’s more about the power of when – like secrets to group timing, ways to make the present more meaningful, and how we can change our perception of time. You can read more about “When” and watch an author interview on Pink’s website at https://www.danpink.com/. Are you a morning lark, a night owl, or a third bird? What beginnings and endings stand out in your memory? This year has been filled with changes and opportunities that challenged me to move out of my comfort zone. I was drawn to books about coping with adversity, leadership, and finding meaning at work. * “The Tower of Dawn” by Sarah J. Maas – about confronting your fears and prejudice, learning that ‘love cannot exist without trust,’ being seen as you really are, self-forgiveness, and the power of kindness. * “Lake Silence” by Anne Bishop – about rebuilding self-esteem, being friendly but not a friend, finding where you belong, and being a bridge between worlds. 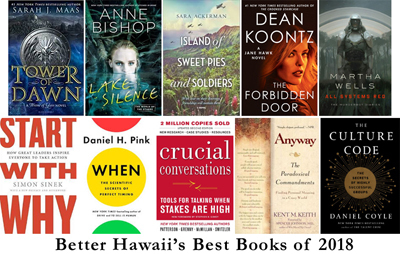 * “Island of Sweet Pies and Soldiers” by Sara Ackerman – about the effects of war, the anxiety of keeping secrets, taking a stand against racial prejudice, and allowing yourself to feel alive. * “The Forbidden Door” by Dean Koontz – about facing the truth vs. living in denial, recognizing that evil is real, loyalty, and choosing not to live in fear. * “All Systems Red” (novella) by Martha Wells – about what it means to be human, self-identity, free will, and making your own decisions – basically, saving people so you can go back to watching entertainment videos. 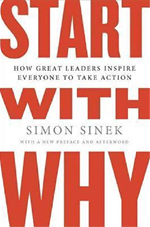 * “Start with Why: How Great Leaders Inspire Everyone to Take Action” (2009) by Simon Sinek – because people are drawn to why you it, not what you do. * “When: The Scientific Secrets of Perfect Timing” (2018) by Daniel H. Pink – about hacking your time to boost your performance and energize yourself. * “Do It Anyway: The Handbook for Finding Personal Meaning and Deep Happiness in a Crazy World” (2003) by Kent M. Keith – about accepting that life is unfair and living as if you can make it fair. * “The Culture Code: The Secrets of Highly Successful Groups” (2018) by Daniel Coyle – about building safety, sharing vulnerability, and establishing purpose. Which books have entertained you, challenged you, or inspired you? Which books would you recommend ? Last year, I learned that my maternal great-grandfather was arrested and spent the war at an internment camp in Santa Fe, New Mexico. He returned to Hawaii four years later, before my mother was born. She didn’t talk about her family’s experience during World War II, and I never thought to ask. Even in school, the Japanese internment seemed distant. We didn’t spend a lot of time learning about it. 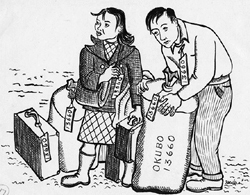 It wasn’t until I read artist Miné Okubo’s account of her Japanese internment experience that it became real. Aftermath. Okubo doesn’t tell us what happened next in her life – it ends with her leaving Topax and looking to the future. Okubo’s account is matter-of-fact, honest, and factual. She doesn’t feel sorry for herself, angry, or bitter. She lets her words and drawings speak for the injustice of the forced incarceration. While Okubo was interned at Tanforan and Topaz, Japanese nationals and citizens were also interned at the Honouliuli Internment Camp, now a national monument. The Japanese Cultural Center of Hawaii (JCCH) in Honolulu has a Honouliuli Education Center with photos, artifacts, oral history videos, and virtual tours. Admission to the education center is free and open to the public. Why do certain groups add up to be greater than the sum of their parts, while others add up to be less? Daniel Coyle invested four years of research attempting to answer this question. 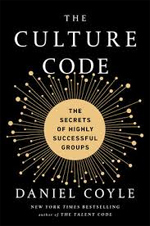 He studied eight successful groups and their top-performing cultures, and shares the results of his research in “The Culture Code: The Secrets of Highly Successful Groups” (2018). Working at a company with multiple locations, where many of my co-workers don’t come to the main office at the same time, I was motivated to find out how we can become a stronger team. I wanted to learn how we can build a successful team and a successful culture. “The Culture Code” is an engaging, easy to read guide with real-world examples of culture-building. Coyle begins by defining culture as “a set of living relationships working toward a shared goal. It’s not something you are. It’s something you do.” Then he focuses on individuals (leaders) who built the organization’s culture from the top-down. The first thing that I found compelling is the attention that successful organizations spend to find the right people. For example, Zappos offers a $2,000 bonus to trainees if they quit, which encourage people who don’t fit with the organization to self-identify and leave, while ensuring that the people who do accept the job are motivated to be there. The second thing that resonated with me is that having a clear vision of a group’s purpose guides the way that the group responds to situations. Johnson & Johnson’s Credo, written by former chairman Robert Wood Johnson in 1943, helped them respond purposefully to the Tylenol tampering crisis in 1982. The Credo shaped their responses, so they could take action quickly, decisively, and ethically. Skill #1: Build Safety. Are we safe? Are we connected? Do we share a future? Successful groups continually refresh and reinforce “belonging” cues such as energy, individualization, and future orientation. Three things that organizations can do: spotlight fallibility early on, so people know that it’s okay to make mistakes; embrace the messenger who shares bad news or gives tough feedback; and be painstaking in the hiring process. Skill #2: Share Vulnerability. There is a strong link between vulnerability and cooperation – it creates a feeling of safety and connection. Three things organizations can do: make sure the leader is vulnerable first and often, becoming a role model for everyone else; overcommunicate expectations; and when forming new groups, focus on two critical moments – the first vulnerability and the first disagreement. Skill #3: Establish Purpose. “Stories guide group behavior.” Successful groups create simple beacons that focus attention and engagement on the shared goal (purpose). They see ways to tell and retell their story. They highlight “Here is where we are” and “Here is where we want to go,” while identifying areas of high-proficiency and high-creativity. Three things organizations can do: name and rank your priorities; be 10 times as clear about your priorities as you think you should be; and figure out where your group aims for proficiency and where it aims for creativity. Does your group or organization have a culture that makes you feel safe, connected, and engaged? What practices strengthen your group? What do you think are the best companies to work for?